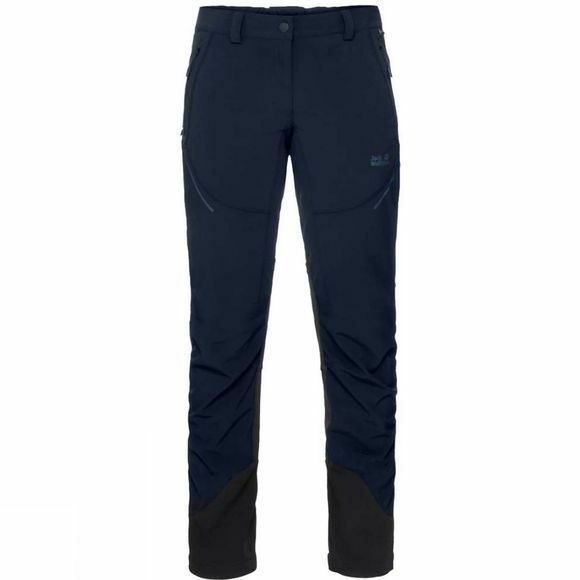 The Womens Gravity Slope Pants from Jack Wolfskin are trousers that feature a body-mapped combination of different softshell fabrics. So you get good protection and outstanding wear comfort, exactly where you need them. The trousers are windproof and breathable and the knee sections consist of an extra stretchy fleece fabric. If you need a more fresh Air, just open up the side zips.